This month: We’re going back to Steamathon!! 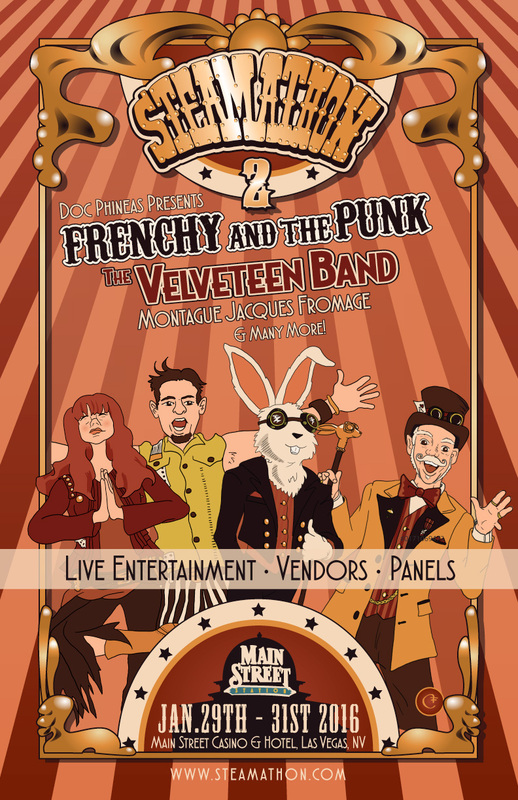 We are proud to officially announce that The Velveteen Band has been invited by the infamous steampunk, Phineas T. Kastle, to perform again at the second annual STEAMATHON, in beautiful Las Vegas!!! See the Steamathon facebook event for more details and book your rooms NOW!